Pretty much finished up the bikers. All upscaled of course! 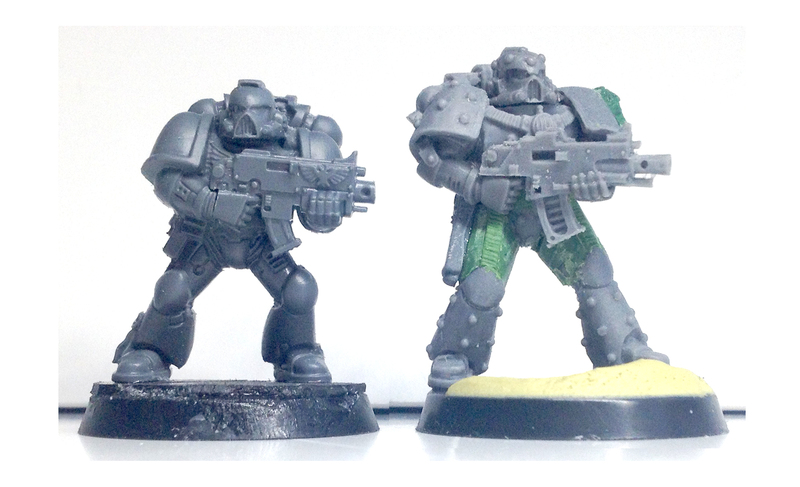 3 of them have magnetised arms, so can take a variety of power weapons and pistols. also ploughed into the GS on my Destroyers! I'm the builder. I'll build anything, convert anything, sculpt some things. Some pics for today, X's Word Bearers. 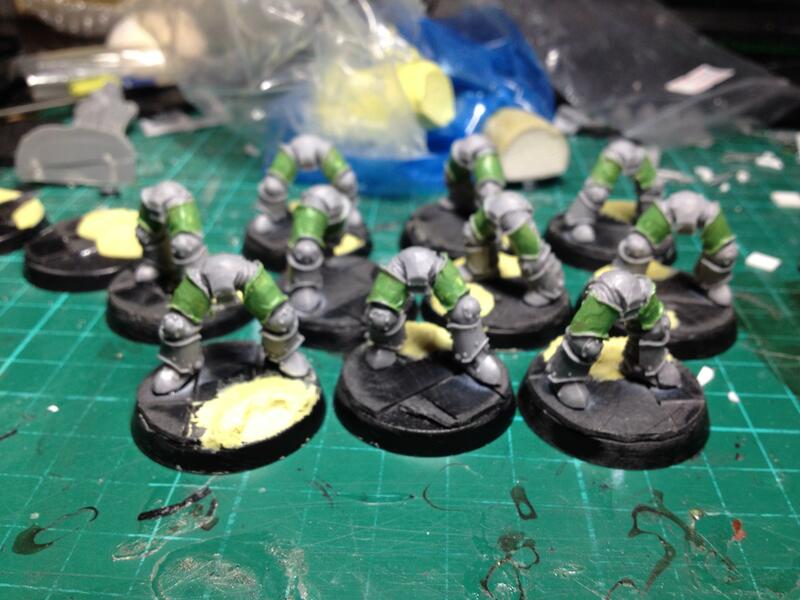 He's done some lovely work with Frostgrave Cultists, and created some amazing bases with them. 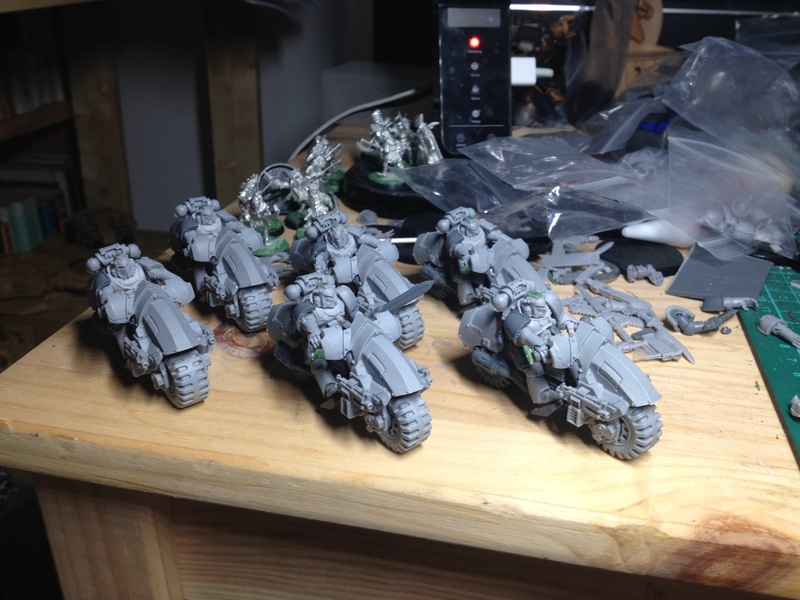 So today, after a weekend of LAN and no hobby, I present some pictures T sent me of the Fists I built for him recently. 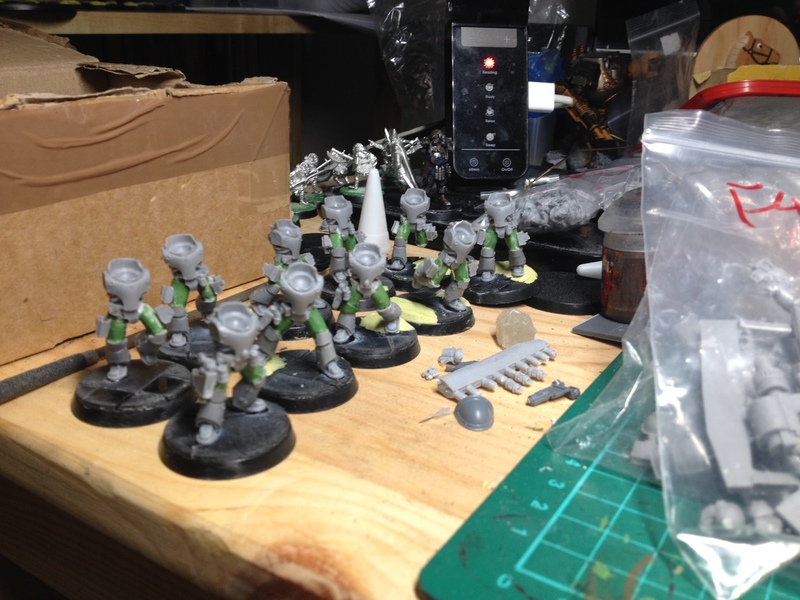 He commissioned 10 Tacticals, 20 Breachers, a Spartan and 3 Dreadnaughts. I have one dread left to finish (he wants sword and shield... it's going to take some time. 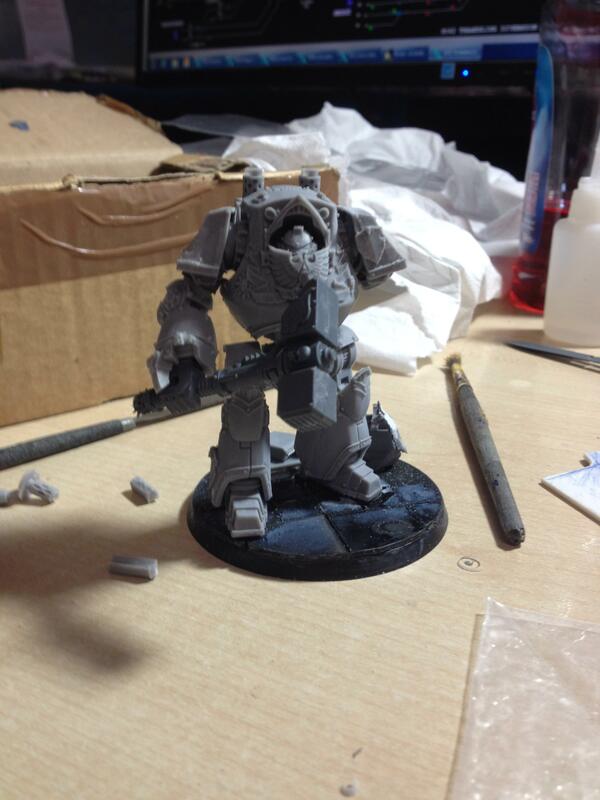 The breacher sergeant has a magnetised right arm and a lovely suite of options, and the dreads are also magnetised. I believe some of these are still slightly Work In Progress, but they're looking great and I was excited to share! I have a small update on the legs. 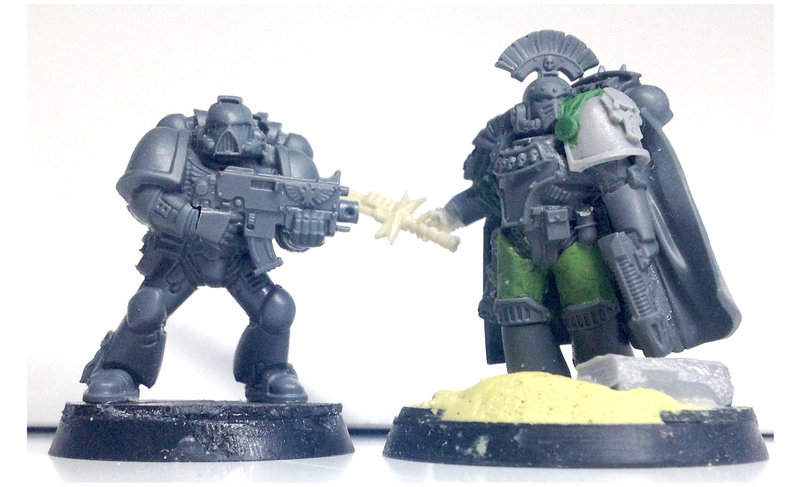 I bashed out the greenstuff on 10 of them over the last two days. This is what a client gets for a Level 1 commission (out of 3 levels). 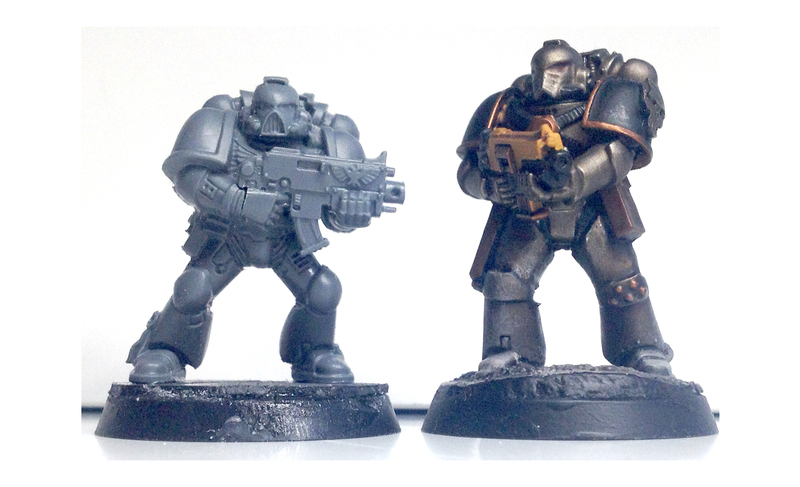 it's pretty cheap (depending on volume) and gives a nice simple start to an upscaled marine. you're too kind! I have some updates from the other guys soon. 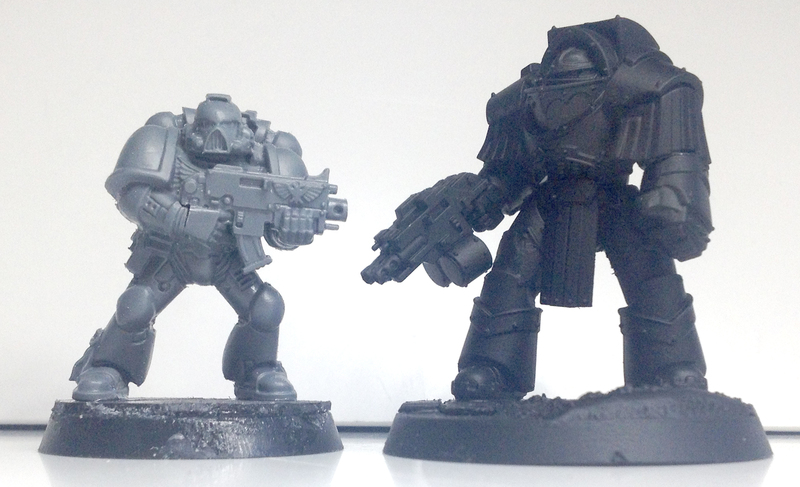 Little by little... the Heresy Builds. 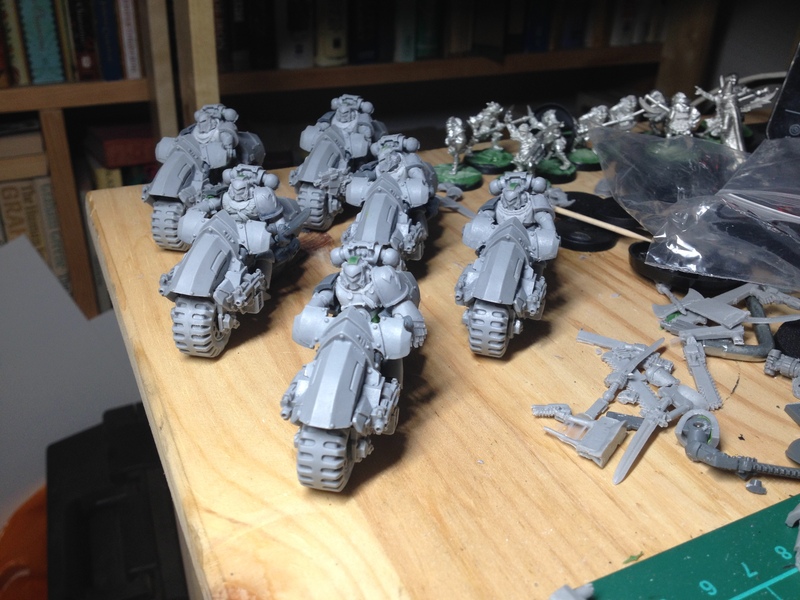 X has done some work on Xardu Laydak and the Blade Slaves, and Q has made some progress on his Night Lords. He actually finished the destroyers but took gakky photos, so I'll try to get some better ones for a later update. We really have a problem with the Spartan and how OP it is. The solution: Everyone buys one!